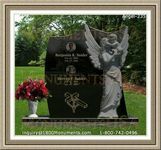 Funeral Services are among the most important components of a burial and should be planned accordingly to ensure that dignified final arrangements are made. The program should be tailored to meet the unique personality of the deceased and truly honor their memory. It is important to consider a number of factors for the best possible results.